DESCRIPTION: While there are many reasons to be discouraged about this fall’s elections and to not bother to vote, I offer three reasons I choose to vote: I am an internationalist; government’s job is to defend the poor, and out of necessity I live and act in hope. This coming Tuesday, November 6, I will join thousands of Americans in exercising my right to vote, selecting who will be our state’s and nation’s leaders over the next 2-6 years (depending on the office). Like many US citizens, I have often wondered if my vote really makes any difference given the amount of money corporate and political PACs, as well powerful lobby groups like the NRA, put into the coffers of candidates. How else can we account for the fact that important legislation limiting the sale and use of guns (favored by 80% of Americans) can’t get passed through most state legislatures or Congress? How else do we account for huge tax cuts for the wealthy and corporations, while poverty continues to afflict millions and those same wealthy employers oppose offering living wage jobs? Add to that the barrage of campaign ads and literature that seek to influence our vote through the use of fear or hate for the “other” side. These ads rife with lies and mistruths do noting to inform us about what a candidate actually stands for. I admit it can get pretty discouraging, and more often than not, I have entered the voting booth holding my nose, and voting for a candidate whose real intentions I do not really know. Given all of these reasons for misgivings, WHY DO I VOTE? Let me share three reasons. The president (who I recently heard referred to as #46-minus-one) has made a point of saying he is a nationalist, which on the surface is roughly equivalent to saying one loves his/her country, but really was code for aligning himself with white nationalists. 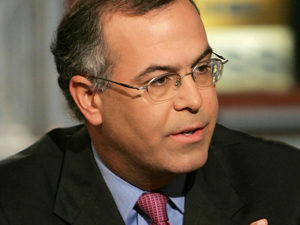 His statement, along with a thought-provoking column (“Yes, I’m an American Nationalist”) by New York Times columnist David Brooks, caused me to consider how I regard my relationship to my nation. In thinking about this, I realize I am not a nationalist but rather I am an internationalist, a globalist, or more to the point, a humanist. I vote because I care about the human race and even beyond that the globe on which we live. I vote for the good of humanity and God’s natural creation. I vote because I live in one of the most powerful countries and one of the most destructive nations in the world, when it comes to military adventures, economic exploitation, and global warming. Unlike the rhetoric of many politicians, I cannot limit my concerns to what is good for the country, I must think, act and vote with all humankind in mind. Too often the US government has regarded the poor as the enemy rather than the primary object of its concern. Consider the bellicose language “#46-minus-one” uses in regard to undocumented immigrants, refugees, and the people who live in under-resourced communities in this country. 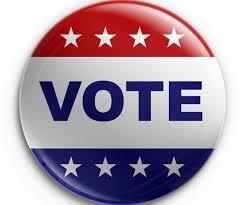 I vote for candidates who best reflect a genuine concern for the most vulnerable and suffering among us. Then in between elections I regularly communicate with my elected officials to remind them of that responsibility. So secondly, I vote on behalf of the poor and seek to call government to fulfill their responsibility in that regard. Finally, I vote in a spirit of hope. I choose to ignore all the calls to vote out of fear and hate, which is used by both political parties in equal measure. Instead I choose to live and vote in hope. 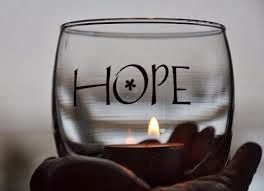 Paulo Freire, the Brazilian educator who has influenced my life in many ways, says that hope is an ontological necessity, a basic need for a meaningful life. No change comes without hope. No resistance to injustice sustains without hope. No tyrant is brought down without hope. In the words of Freire, while we “denounce” the injustices around us, we also must “announce” the new reality for which we struggle. While too often we find ourselves living in an American nightmare of greed, hate, violence and indifference to suffering, I am nonetheless pulled forward by a vision of society and a world where hunger, devastation, war and greed give way to equity, peace and deep community across all difference. Fifty years ago, Dr. Martin Luther King Jr. died proclaiming a dream and a promised land of equity, peace and justice. When I vote I seek to vote for that dream. So, I will go to the polls on November 6 and urge all who can to do the same, but not with a narrow nationalism, nor discouragement with government, nor in despair. Rather vote with a heart for all humanity and creation, a deep concern for the oppressed, and a sustained commitment to work for the better future for which we all long. When you say Trump is speaking in code when saying he is a nationalist means only one thing Drick. You are truly a fraud. What a stupid, idiotic statement. And when you talk of money in the election don’t forget the Soros of the world and the unions. You really need to broaden your news sources and your education.